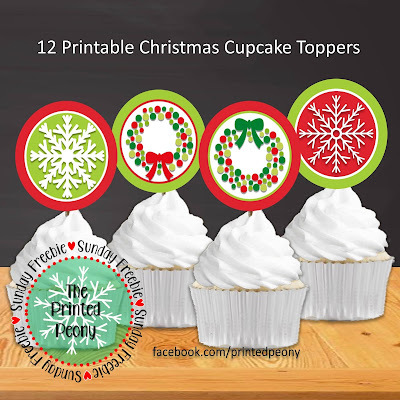 Who doesn't love cupcakes? Today's Sunday Freebie is a set of 12 Printable Christmas Cupcake Toppers. 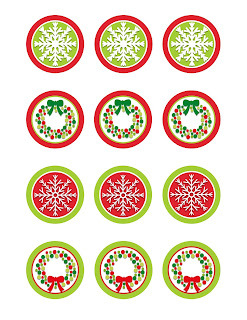 Each Circle Topper is 2" in diameter and features a Wreath or a Snowflake. The PDF file is formatted to print on 8.5x11" sheets. Instructions are also included in the 2 page PDF for easy assembly of your toppers. These 2" Circle Toppers can also be used to make disposable napkin rings. Cut strips of paper into approximately 1 inch strips. Use glue or double sided tape to attach the Circle Topper to the center of the strips. 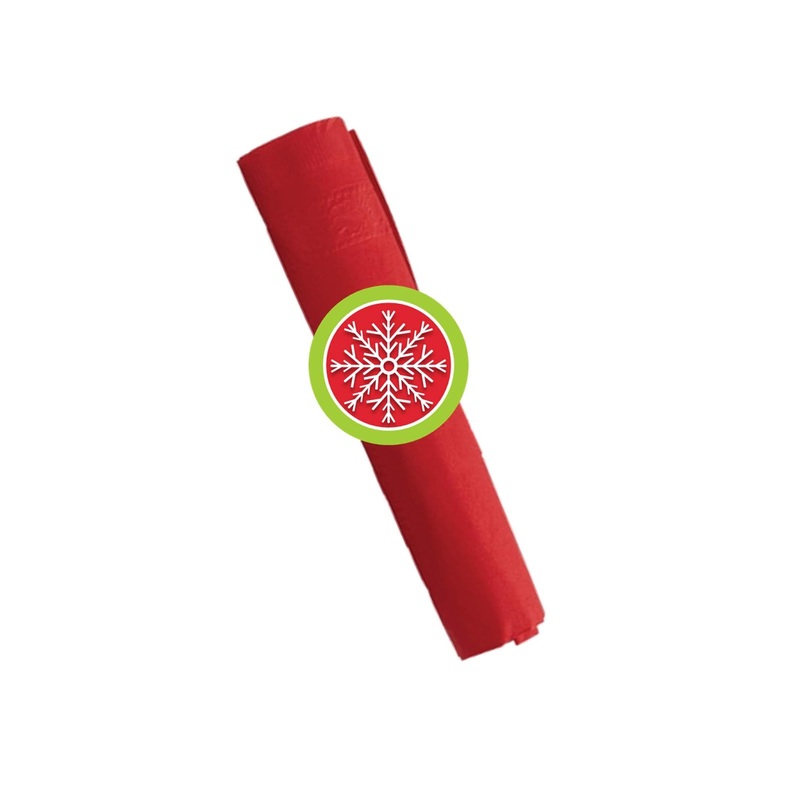 Wrap around napkin, allow a slight overlap so you can add double sided tape or a dot sticker to seal the two sides together. Cut any excess off paper strips before sealing.